It’s been an interesting 12 months as an anime reviewer and I love thinking back about all the shows I’ve watched and the lessons I’ve learned, or at least been reminded about. These are the top 5 things I learned from anime last year but I’d love to know if anime taught you anything, or reminded you about something you shouldn’t forget. Please note: There may be spoilers below. This one is pretty obvious when you think about it, but watching Cells at Work each week reminded me about all that high school biology stuff that I promptly just stopped thinking about after graduating. I also learned about a couple of cells I’d previously never heard of. While my primary reason for watching anime is not educational, when an edutainment like Cells at Work comes along that is informative and fun and adorable, you just can’t pass it up. The only problem is every blood test I get now I worry about the millions of Red Blood Cells that just found themselves torn from their home. I kind of already knew this with Bleach being the only really ‘long’ running anime I ever fully completed. My Hunter x Hunter watch has stalled so incredibly close to the end and yet I just haven’t finished it, and otherwise Soul Eater and D Gray Man are probably the only other two long anime I’m a massive fan of. But last year this became really clear to me as Black Clover got cut from my watch list thirteen episodes in (though it may have been the shouting and not the episode count that lead to that), GeGeGe no Kitaro was abandoned even though I didn’t dislike the show, Attack on Titan was on notice until it delivered a fairly strong third season and even My Hero Academia that I’d previously really enjoyed just felt a bit tired. It probably says more about my attention span than the anime, but the larger episode counts seem to make me want more from the anime and expect more from the story and when I don’t find it I seem to lose interest. Then we have the new Sword Art Online series with its mammoth four cour run announced before we even started and while initially excited I’m finding that it feels like they’ve stretched out content to fill those episodes rather than having enough content for it to begin with (though we’ll see what they do next with it). Either way, last year very much reminded me that I prefer my anime with 11 – 13 episodes and a conclusive ending. Number 3: In relationships communication is key. Again, this is something I already knew but we certainly had a tonne of examples of why this was important last year. Just looking at the Autumn season we can see that Nanami and Yuu would have been better off if Yuu had been more open about how she felt early on and even after she resolves to do something, she still doesn’t actually talk to Nanami about it directly instead taking a round about route (Bloom Into You). Takato and Junta from Dakaichi could have solved their break-up drama in a heart beat if either one had actually consulted the other before taking action. Then we have Sakuta and Mai (Rascal Does Not Dream of Bunny Girl Senpai), the one couple that mostly communicated beautifully and managed to navigate around so much relationship drama and yet Mai still didn’t tell Sakuta it was her birthday and he had to find out second hand from her younger sister. If anime taught me anything last year it was definitely to talk to your partner, whoever they may be. While not from a specific anime, there were so many different kinds of heroes from so many different shows last year. My personal favourites included traditional heroes such as All Might from My Hero Academia, but also encompassed characters such as Hina from March Comes in Like a Lion and Yuu from Bloom Into You. Big or small, saving the world or reaching out to a friend, there were so many different heroes to choose from that surely there was someone a viewer could look up to last year. Whether it was going in with too high an expectation, possibly considering passing on something because of no expectations, or just not enjoying something because I wanted it to be something else, last year taught me the value of taking things as they are and not as I wanted them to be. Then again, even going into Darling in the Franxx with no expectation would not make me like it anymore. But perhaps Clear Card would have been better received if I wasn’t endlessly comparing it to the nostalgia fuelled image I had of Cardcaptor Sakura. And consider some shows I ended up really enjoying, such as Rokuhoudou Yatsuiro Biyori that wasn’t even on my radar and from the description of it doesn’t seem like my kind of story I really just need to try each show on its own merit. So this year I am as much as possible going into shows without expectations, watching the first episode (or as much as I can stomach) and giving them a go. That said, W’z still isn’t getting more than 5 minutes of my time. Right, so what did you learn last year while watching anime? Alright, here we are. The last top 5 list of 2018 anime titles and it is the list of my favourites for the year. This list was brutal to make because as much as the Spring and Summer seasons didn’t really work out for me, 2018 started strong in Winter and the Autumn season is one of the best I’ve seen. Now, I haven’t included any anime from the Autumn season that are incomplete on the final list here so Run With The Wind, That Time I Got Reincarnated as a Slime and several others weren’t considered. Otherwise, anything that aired and finished in 2018 that I watched was considered and there were still a lot of strong contenders because there are shows that were technically amazing but not really my style and shows that were just great fun, but not technically impressive. Trying to balance it for a top 5 list was incredibly hard but I’m happy with the final list. Previously I’ve just done my favourite anime as part of my best and worst of the season posts so this is the first official top 5 list of best anime from a year. No surprise though that Yuri on Ice took out my favourite anime of 2016 and March Comes in Like a Lion took out best anime of 2017. On that note, I’d love to know what your picks for the year were so please leave a comment below. For 2018 my honourable mentions go to two shows that I really loved and had great fun watching, but both are fairly riddled with problems in terms of visuals, presentation, pacing, and narrative. That said, that didn’t stop either one being fun. For 2018 my honourable mentions go to Hakata Tonkotsu Ramens and Spiritpact Season 2. An emotionally wrenching journey this anime definitely knew how to hit its audience in the feels. Okay, logically nothing in this story makes sense and contextually it is dated even if they did do a patch job to move it into the modern era. However, these characters have charm and make it very easy to get behind them and want them to succeed. While seeing Ash do his Rambo act might be unrealistic it is certainly satisfying. The subject matter won’t be for everyone with sexual assault among other confronting issues taking a central role in the narrative. All and all though, this was an exhilarating ride to go on this year. Honestly, I wasn’t expecting this one to show up on my best of the year list. And yet, Attack on Titan season 3 managed to give us some fairly solid character work and some pretty impressive plot development given how stalled both seemed during season 2. I ended up really enjoying what we got of Attack on Titan in 2018 and while I know the second part is coming out next year, this season was enough to get me interested in this franchise again. An anime I went into with very little expected of it. However after a fairly ordinary start, Bloom Into You very quickly won me over with its very solid direction and visual symbolism. It is an incredibly impressive telling of what is a fairly ordinary story but the amount of thought and care put into the execution of this one definitely makes it one well worth the watch. I’m still not a huge fan of Yuri and high school romance in general, but I would firmly recommend this one to anyone because it is fantastically presented. No surprise that this one made the list. It took a lot of reviewers by surprise with its strong dialogue and clever writing. While not a flawless series, this one managed to balance its supernatural elements as stand ins for the normal stresses and anxieties faced by teenagers in high school in a manner that was both relatable and charming. With a cast of characters that were superbly written and thoroughly enjoyable to spend time with. Other than the animation used for characters running this anime can almost do no wrong and what few complaints I have about it definitely come up sounding fairly petty. It’s a wonderful story and one that you should definitely check out if you haven’t. Okay, anyone who follows my blog is not surprised by this. As much as Bloom Into You and Bunny Girl Senpai were solid late entries for 2018, they just couldn’t shake my love of March Comes in Like a Lion. It is every bit as visually impressive as Bloom Into You and the cast of characters are every bit as charming and relatable as those in Rascal Does Not Dream of Bunny Girl Senpai. As tough a decision as these three made it, March Comes in Like a Lion season 2 comes out ahead because I just can’t imagine it being any better. There it is. My Top 5 anime from 2018. Now I’d love to know yours. In 2016 Yatorishino from Alderamin on the Sky took out my top female character. 2017 saw a tie between Hina (March Comes in Like a Lion) and Uraraka (My Hero Academia). This year the choices were really tough because there are some really solid choices as 2018 has given us some amazing female character. Here are my favourite female characters from the year but I’d love to know who your favourites are. This year’s honourable mentions go to Nanami from Bloom Into You and Priestess from Goblin Slayer. These were both great characters and in prior years they probably would have earned a spot on my list. However, there were so many great characters this year so while I’m giving both of these characters a mention they haven’t made the top 5. Sakura has always been a great female character. While Clear Card wasn’t the strongest anime, Sakura’s character is still a fairly solid female in an anime. She is a strong character who faces some incredible challenges but remains sweet and optimistic. When I was young, I really admired Sakura and I think if I was still a kid I would have absolutely loved her in Clear Card. She definitely belongs in the top 5 list even if she doesn’t take it out like she would have once upon a time. This one probably shouldn’t be a surprise. Our favourite directionally challenged Red Blood Cell is all kinds of adorable but more than that she’s also driven and dedicated. For all that she freaks out when getting lost, at the sight of germs, and is inexperienced at her job, she’s also the one who sounds the alarm about Cancer and continues to do her job in all conditions. The most charming individual blood cell from a show full of truly charming characters. It was a hard toss up between Nanami and Yuu for the spot on the list, but Yuu is the character who has grown the most over the run of the series. She’s learned a lot about herself and Nanami during the course of the show and by the penultimate episode she’s finally realised what she wants and is ready to take action. It has been a wonderful journey with Yuu this season and she definitely deserves recognition for being a solid female character this year. If only she had more screen time. Mai has been an amazing character. Sure, she was technically being rescued by Sakuta who is the main character, but she never lets herself be out shined on the screen. Mai is a solid character and highly entertaining. With the help of some well written dialogue and a great support cast, every scene Mai is in shines. Though that brings us back to wishing there was just more time where Mai was on the screen and not being sent away for some job or another. For the second year in a row Hina takes out my favourite female character, though this year she isn’t sharing the honour. She’s an adorable bundle of courage, resilience, and just solid character development and writing. If you ever wanted a character who could bring sunshine into your life just by being on screen, Hina is definitely your girl and I am hoping for more of her at some point because she is one character I can’t get enough of. And that’s the list for 2018 of amazing female characters. That said, there are plenty that didn’t end up on my list so I’d love to hear who your favourites were. 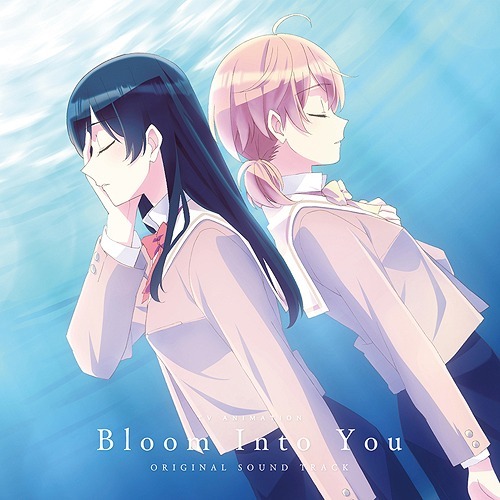 Bloom Into You has given us some truly exceptional direction and visuals, as well as a powerful story of youth and growing up and navigating the thorny path of romance. What is doesn’t really give us is an ending or a resolution. Now, the more open minded part of me would like to say that this is because life goes on, but the realist in me knows that it is because they ran out of episodes and this is where we got up to. Still, how is this final episode? The rest of this post is available for patrons only here. If you wish to read this post or access other posts that have been published for patrons only, please consider supporting the blog for as little as $1 a month. Episode 9: Who Else Felt Their Hearts Shatter At Yuu’s Denial of Love? What Were The Best Anime of Autumn 2018? No doubt about it, Autumn 2018 gave me a lot of anime that I personally enjoyed. It also gave us a lot of anime that were technically pretty solid creations and between these two groups of anime that meant I ended up having a lot to watch and enjoy. Even anime that weren’t particularly well made managed to be delightful to watch and while it won’t show up on my best of list anywhere, I’d still like to give a shout out to Xuan Yuan Sword Luminary. As a fantasy with a vaguely historical setting, the story is kind of good (okay, cliche driven but what else is new). I’d really recommend giving it a look if you are into fantasy and want a non-isekai title for a change. However, that isn’t getting on with the list. I tried something different this season and actually ranked the anime I watched each week so that when I got to the end of the season I wasn’t just blown away by a shiny ending and forgot about all the other issues an anime had. The system isn’t entirely without flaws and there’s a few changes I’m going to make for next season. But it means that I really am looking at the whole season rather than the last three weeks when I pick my favourite. Alright, let’s get into this. Like every season, I’ll go through my favourites first and then I will announce the reader’s choice. The poll for best of the year where the top 3 picks from each season will go head to head will open on the 1st and will run for two weeks closing on the 14th. While this might seem random, it actually makes perfect sense in my head. There are so many anime I love this season but I love the characters, the emotions they make me feel, the visuals… for one of the first seasons ever plot has taken an extreme back seat. The few anime where it is the potential plot keeping me invested are running into next season so not even sure where the plot is actually going to go. Voice of Fox tells a simple but solid story about Hu Li struggling to make it as a singer, becoming someone else’s ghost singer and the ensuing scandal when it is revealed. While we still haven’t seen the conclusion yet, I’m really looking forward to it. Voice of Fox may not be a masterpiece by any one’s standards, but its been great fun and for a short anime it has really managed to tell a solid story and I think it definitely deserves some recognition. There was never any doubt with this one. The direction of this has been brilliant and the use of colour has been amazing. Bloom Into You is one of those anime I really appreciate for how well it is being put together even if it isn’t really my kind of story. I’m actually surprised by how much I’ve ended up getting drawn into it, and part of that is the characters have really been fleshed out to feel real, but a lot of the appeal of this one comes from how it has been visually presented and while I was pretty disdainful in episode one when I said it was ‘very pink’ I’ve come to really love how much thought has gone in to each and every scene. Alright, I’m still not the biggest fan of the animation for this opening, but in terms of distinctive and memorable openings, Bunny Girl Senpai has to win. When I was looking at this category, the first few bars of the song just started playing in my head and drowned out any other opening from the season I tried to think of. Except Skull Face Bookseller Honda-San. That opening was distinct, and amusing. Worth checking out. Anyway, if you are one of the few people who hasn’t already checked out Bunny Girl Senpai please do or at least listen to this opening. I couldn’t help it. Alright, no denying Dakaichi as an anime has its issues but also no denying that I’ve seriously enjoyed Takato this season. Part of it is definitely shallow and the fact that he is a very good looking, non-teenage, male anime character, but a lot of it comes down to how interesting his character is and how much I enjoy seeing him in different situations and how he handles it. Okay, I could write all day about Takato, or I could explode the rest of the post with Takato screen caps, but I think I’ll just leave it here by pointing out Takato has been awesome and I’m going to miss seeing him each week. Right, so this one I kind of know the answer to but I’m going to go back to my ranking system that I tried this season and take you through the whole list. Each anime I watched got ranked each week and I averaged these ranks for a final score. It was interesting and watching something like Release the Spyce go from ranked tenth on the list to third was kind of bizarre but it does make me think about the shows that have really grown in strength and those that lost momentum as the season progressed. Scores were based on enjoyment and technical merit and so balancing shows each week where I liked an episode but it had some rough edges compared to a story that was a bit slower but was really well done made for some interesting internal debates. There’s some interesting results. For instance, That Time I Got Reincarnated as a Slime has really grown on me and I’m personally enjoying it more than SAO right now. Xuan Yuan Sword Luminary is another title I personally enjoyed though in terms of quality it is probably in the right place on the list. However, my favourite for the season, Rascal Does Not Dream of Bunny Girl Senpai did manage to come out on top even though Bloom Into You did have a number of weeks where it took the top spot. Rascal was full of great dialogue and characters and while the ending may have been a little weak it was definitely a title I looked forward to each and every week. For the first time this year, the reader’s choice and my choices line up really well and the best of the season as voted by my readers isn’t something I dropped or didn’t watch. Yay. Okay, no further delay. This vote was the most decisive of the year with a clear victor determined fairly early on. You guessed it, Bunny Girl Senpai. However, Banana Fish and Bloom Into You as the runners up will still go into the poll for best of the year. I was interested to see how well Run With The Wind went in this poll. If it maintains the same quality in the second half it might very well win the poll next season (though I guess that depends on what else comes out). However, that is it from this poll so now I’m turning it over to you. What did you vote for? What were your favourites this season? Let us know in the comments below.